We don’t believe that language learning is just about studying grammar notions and vocabulary. We do believe, however, that the goal of language learning is to better “communicate” and that grammar and vocabulary are vital TOOLS for communication. 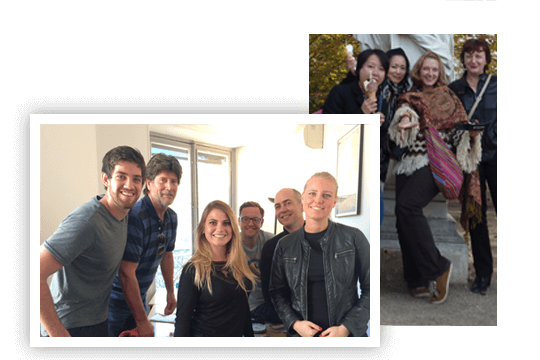 Learn French in Paris with LUTECE LANGUE, focusing on ORAL COMMUNICATION skills in small groups of 2-7 students! Contact us to plan your best experience yet! 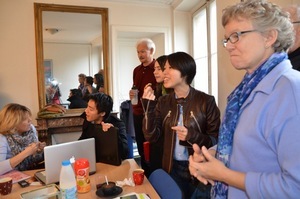 LUTECE LANGUE is a French language school in Paris established for more than 20 years. We offer a wide range of French language courses of all levels, for professional and personal use. Our aim is to provide a personalized teaching and we do this by keeping our classes small. 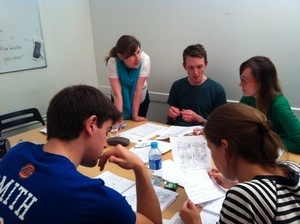 Join our French classes any week throughout year (except total beginners), from 1 week to 1 year ! When you search for a French language school online, it’s hard to determine the quality of the courses on offer. 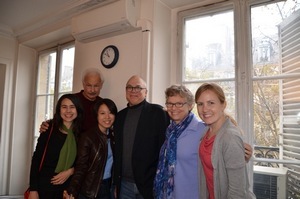 Here at Lutece Langue, we have been providing high-quality French language courses since 1997. More than 40% of our students return to us to further their studies and develop their French language skills. Take a look at comments on FACEBOOK to see what our students think of our services! It is difficult to learn a language in a large class. To avoid this problem, we limit our class size. Each student receives a personalized teaching plan and can play an active role in classes. In a large school, a student can get lost in the crowd. Teachers find it hard in a large class to provide the necessary individual instruction and help. 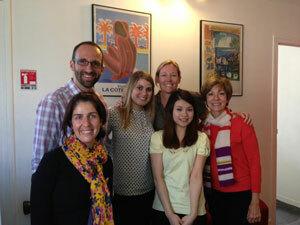 We run a small French language school and as a result, we can treat every student like a family member. Our teachers not only provide each student with personalized education, but they also get to know each student individually so that they can easily monitor their progress. In many schools, teachers are bound by the curriculum set by the school board. Teachers that lack flexibility also struggles to personalize the course to meet students’ needs. Students should not have to adapt to their teachers. It should be the other way round. LUTECE LANGUE teachers are able to choose the teaching materials that meet their students’ needs and requirements.